At totalSPORTEK.com you can find free live streams of snooker championship starting from the qualifiers on 10th April. We will place live streaming links everyday starting from the first session in the morning and streams will be available all day. Plus couple of alternative streams as well. 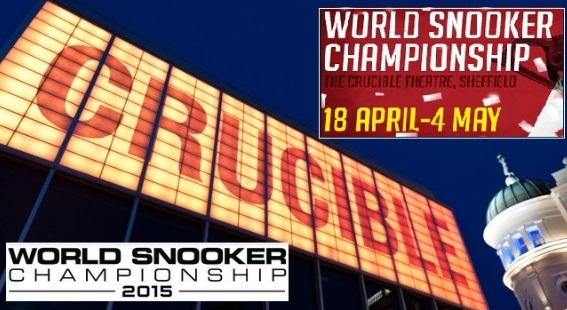 World snooker is back live with the 2015 Snooker Championship to be played in Sheffield starting from the 10th April qualifiers while the World Snooker Championship 2015 proper will start on 18th April which will be the 78th edition of world-class snooker tournament. 10 time women champion, Reanne Evans will be looking to be the first women in history of snooker championship to make it to proper event as she play in the qualifiers. There have been a few changes in this years competition format with top 16 seed automatically qualifying for the proper event starting on 18th April while there is a long qualifiers where non seeded players will have to play three matches to get into the tournament proper. Total number of players has also been increased from 128 to 144. EuroSport 1 and BBCsports will be broadcasting the event live throughout April 2015, BBC Sports in united kingdom while EuroSport in some european countries. There are number of ways how you can tune in to watch the tournament live on your pc or mobile as well. Ronnie O’Sullivan is currently no.4 in the snooker ranking and he has been in good form and will be looking to get his hands on the sexth snooker championship title while Mark Selby won the championship last year and he will be eager to defend his crown.